Image by Kunj Parekh/Unsplash, Public Domain Dedication (CC0). Michael Orange is a veteran of the U.S. Marine Corps and author of Fire in the Hole. Raised Catholic and patriotic, he left his studies at Kent State University to fight in Vietnam. His book is the culmination of long reflection on the reality and the morality of war, with relevance both to the war he entered in 1968 and the conflict we have entered now. MS. TIPPETT: President George W. Bush addressing a Joint Session of Congress on September 20, nine days after the terrorist attacks. On October 7, U.S. military action began in Afghanistan. When America wages war, the language used to justify that action is often the language of righteous cause, or good fighting evil, and, above all, of justice. Here is President Franklin Delano Roosevelt, 60 years earlier, at another joint session of Congress. MS. TIPPETT: From Franklin Roosevelt to George W. Bush, and the average man and woman on the street, we Americans evoke the language of justice when we choose to wage war. And when we do that, we are tapping into a 1600-year-old tradition, first formulated by St. Augustine. As he watched Rome fall to barbarian invaders in the 5th century, he searched Christian theology for direction. How could Christians reconcile their high ethical ideals with the violence of this world? Augustine proposed a set of guidelines which have been consulted and refined ever since by political leaders, military planners, and theologians. The five basic criteria of just war theory translate as a set of questions which can be asked of any military action. Do we have just cause to make war? Do we have the proper authority to carry it out? Is this violence our recourse of last resort? Does it have a reasonable chance of success? And can we conduct warfare with proportionality, so that our means justify our ends? The supreme measure of proportionality is the principle of non-combatant immunity. In layman’s terms, the notion that combatants, soldiers, are fair targets for violence, but non-combatants, civilians, are not. If war is to be just, every human effort must be made to limit civilian casualties. 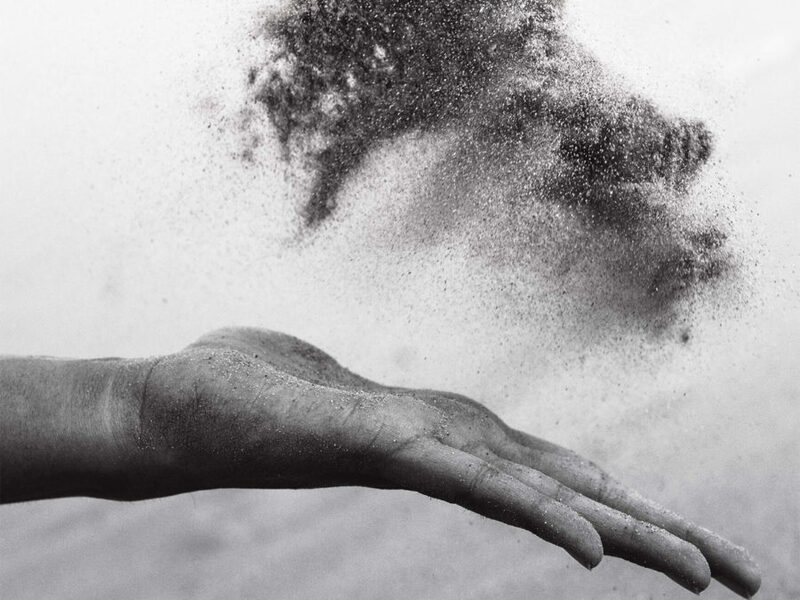 Today on First Person, we’ll reflect on our nation’s current conflict with former Catholic Seminarian and Vietnam Veteran, Michael Orange; and John Paul Lederach, a Mennonite who works to break cycles of violence in places like Afghanistan and Somalia. 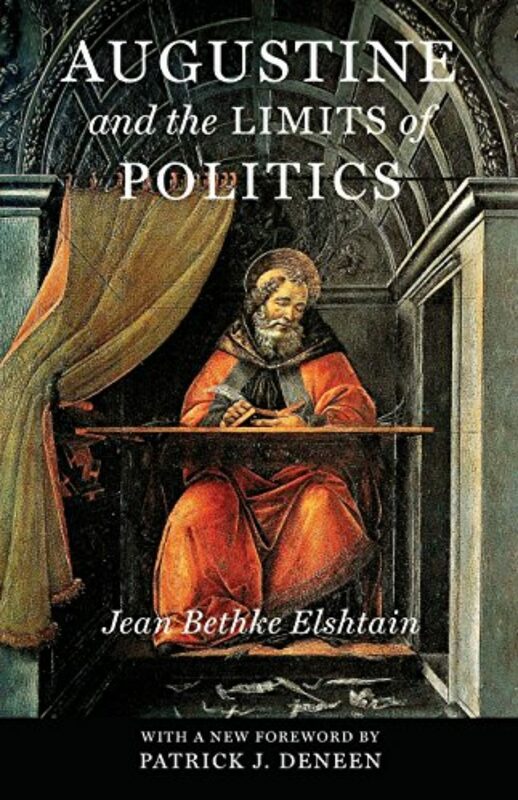 But first, leading political theorist, Jean Bethke Elshtain. JEAN BETHKE ELSHTAIN: We know one says yes to the use of force with a heavy heart, even if you think it is justified, because you always understand that harm is going to come in a just response to unjust harm. Certainly in the name of justice, you can call upon yourself to defend yourself, which means defending the innocent. And the innocent are understood as those incapable of defending themselves, like all those people, whose only crime was to go to work. MS. TIPPETT: Jean Bethke Elshtain is Professor of Social and Political Ethics at the University of Chicago. 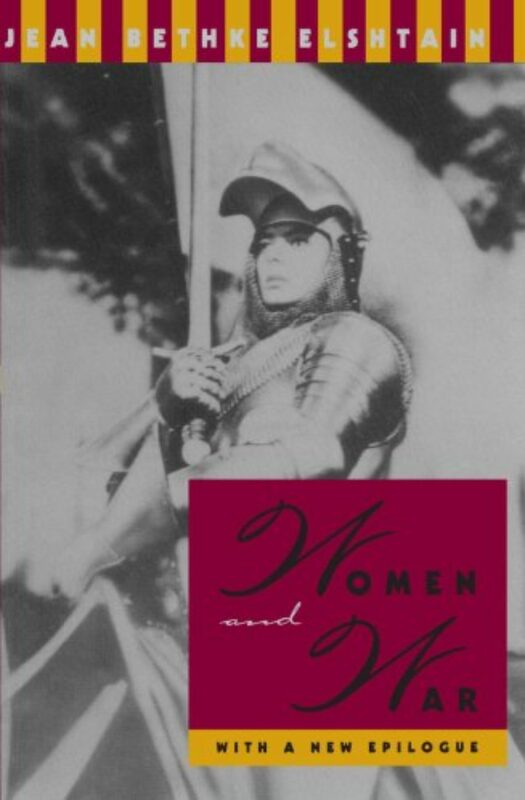 Her books include, Women and War, Just War Theory, and Augustine and the Limits of Politics. Her counsel has been sought by military academies, seminaries, and political leaders, including, since September 11, President Bush. In the just war theory, Jean Elshtain finds a framework which she says can encompass the complexities of life in this world. Her study of just wars stems in part from a fascination with the father of that theory, St. Augustine. DR. ELSHTAIN: I was struck immediately by his complexity and his richness. And the way in which he refused the comfort of a simplistic dualistic universe — divided out between that which is absolutely good, and that which is absolutely evil. That even people, for example, who are fighting an unjust cause are undeniably caught up in doing some harm, so that he’s always trying to resist the attraction, the seduction, of a triumphalistic moralism. MS. TIPPETT: Perhaps the core question of just war is, can we justify the defense of our values by force? Can force be moral? As you watch this unfolding conflict, how do you reflect on the basic criteria of just war, and how we might be meeting them at the present moment? DR. ELSHTAIN: There’s undeniably a just cause. Politics is about negotiation. With terror, the interest is simply unleashing violence. That means that our response, a response through the use of force does constitute a last resort within the Just War tradition. DR. ELSHTAIN: There’s simply — it does. DR. ELSHTAIN: Yes. The last resort was reached immediately, it seems to me, in this situation. MS. TIPPETT: …alternatives this time. Ms. Elshtain: …alternatives. Simply not. DR. ELSHTAIN: It, you know, with whom does one negotiate? DR. ELSHTAIN: Yeah, there’s no one to negotiate with. Now, the — the complexity comes in with the means. You have to do your utmost everything within your power, to distinguish combatants from non-combatants. And the other principle is the principle of proportionality, which means that you use only the force necessary to achieve your end — your ends. And in response to a grievous harm. Now, are we working with those two concepts? It seems to me that we clearly are. And there’s no guarantee. And that’s the terrible tragedy, even of a just cause, funding an unjust cause you do your best not to target, you never intend to target a non-combatant. But non-combatants are going to come into harm’s way. Especially in situations in which those that one is fighting knowingly — often knowingly, put non-combatants in harm’s way, because they know that we try to be very careful about that. MS. TIPPETT: To be moral. MS. TIPPETT: Or our desire to be moral. DR. ELSHTAIN: And to them, to take advan — to take advantage of that if they possibly can. So that adds to the complexity of the situation. MS. TIPPETT: How does it challenge our theories that the people we are fighting against now, not only believe themselves to be fighting a just war, but a holy war? DR. ELSHTAIN: That is not the same thing as a just war. One of the distinctions that emerged historically in the west was between a crusade, which is a holy war, and a just war, a just cause. The problem with holy wars, or crusades, is that they recognize no limit. And what happens, you really sacrilize politics, you know, and make it an instrument of divine judgment and vengeance. Something that frail, human beings, it seems to me, are incapable of. We can attempt to act according to God’s will and God’s design as we see it, but we can never claim to be simply divine instruments, or tools, because if we believe, indeed, that we are acting in that way, then there’s no human restraint on what it is we’re doing. MS. TIPPETT: No, that’s very interesting, because, what that says is this is a religious tradition, which has offered itself for our national and political discernment, but it — what you’re saying is the — it has evolved is in fact also to define itself so that it limits our own possible excesses. DR. ELSHTAIN: Absolutely. This tradition is not doing its job, if you will, if it doesn’t limit our resort to force even in a just cause. And everything possible must be done to prevent triumphalism, to prevent the notion of a completely holy and righteous cause. DR. ELSHTAIN: …and they saw the problem with that. Infinite justice is not something achievable by human beings. That’s God’s justice, not human justice. And they changed it, as you know, to Operation Enduring Freedom. That seemed to be very important. That seemed to be, again, to recognize a limit. Holy wars don’t recognize the limit. And that’s the difference. If you want to go to universities or institutions of higher learning where ethical restraint on war is one of the key subjects, just go to the military academies. It’s — this is something that they really drill into their young people in a serious way. There’s more discussion of this issue, the ethical restraint of force, in the military, than anywhere else in our society. MS. TIPPETT: …into our civic life? MS. TIPPETT: What was your answer? DR. ELSHTAIN: Well my answer was that of course we live in a country with growing religious pluralism. That the deep background of the just war tradition is Christian, but that many of, indeed, most of the main features of that tradition have been absorbed into universal protocols and agreements over time, conventions over time. Geneva Conventions, Haag Conventions and Protocols, the Uniform Code of Military Justice. So that there’s a way that we can talk about just war rules and restraints without making a strong theological argument at every point, although I acknowledge that for the — this whole tradition to be intelligible in its depth, you really can’t do that without the theological backdrop to it. Those are the challenging kinds of issues that many of the young people in our military academies are taking up. And it really is quite reassuring to me as a citizen, that that is the case. MS. TIPPETT: I’m Krista Tippett, and this is First Person: Speaking of Faith. 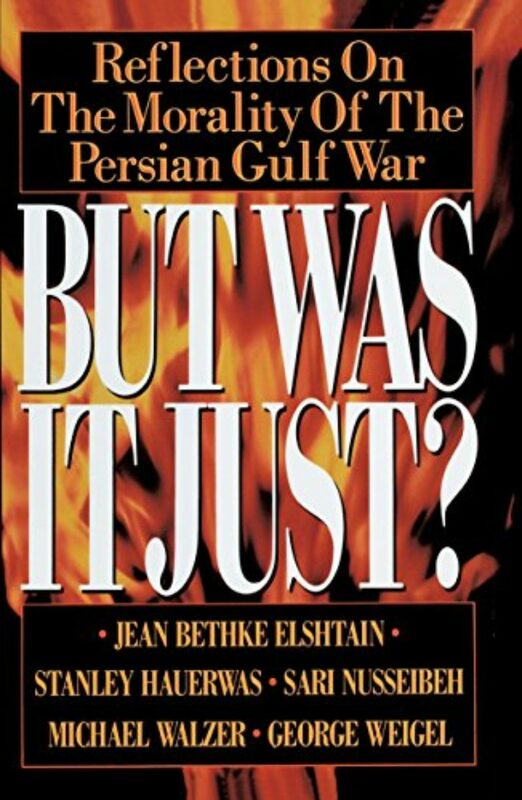 You’re listening to Jean Bethke Elshtain, a leading just war theorist, who lectures at military academies, as well seminaries, and who counsels national political leaders. MS. TIPPETT: Essentially, just war theory asks when is war permissible? And how must our religious foundations limit the way we conduct war? I asked Jean Elshtain if there are people at the Pentagon and the White House today who are posing those kinds of questions. DR. ELSHTAIN: I daresay that it is, probably not in that kind of formal sense, but because so much of this framework has simply been absorbed into the decision-making apparatus into the thinking of the military. It’s going to guide the sorts of reflections that people are offering up at any point in time. Now, often the language will be language of what’s feasible, what’s strategically desirable, but what’s fascinating about this country at this point, and our military efforts at this point, is how the language of strategy, which is often seen as entirely separate, you know, from the language of ethical norms and restraints, how they, in fact, have got mixed up with one another somehow. That is to say the United States knows that its strategically bad for us to be in a situation in which large numbers of civilians of the people fighting are being killed, that it harms the war effort. So, that simply on grounds of self-interest, you don’t want to do that. The — clearly the administration is very keen for this effort not to be construed as some big clash of civilizations. And in that effort, what is strategically useful, let’s say the rules of strategic necessity, also happen to be, and maybe it’s not just happenstance actually, also are laced through, if you will, with these ethical restraints and these norms that build in some checks on our own behavior and our own action. It’s really very interesting. And, I think in its own way, quite powerful and instructive. MS. TIPPETT: …you know, I wonder if terrorism has so drastically changed the framework of warfare as we know it, and — and continues to reveal that, you know, is there a danger that we will relinquish — have to relinquish, or feel that we have to relinquish some of our greatest moral ideals. Does that worry you? DR. ELSHTAIN: You know, the harsh necessity has set in. And the only way that we can deal with these folks is to get as — as dirty as they are. DR. ELSHTAIN: That would be a tragedy. It’s something that we clearly don’t want to do because we want to distinguish ourselves from the folks that we’re fighting. But you’re right. That’s always a clear and present danger in a wartime situation, as it goes on, and on, and on. MS. TIPPETT: What is the role of the common man and woman? Or the — just any person of faith or just a citizen to uphold just war doctrine in our world? DR. ELSHTAIN: I think there’s a way in which we are all called to not just live our lives, go back to normal as people keep saying, but also to be aware of our civic responsibilities in a way that, I think, most Americans haven’t thought about those civic responsibilities for a long time. It’s a complicated task for people of faith, because when you can bring these together, your loyalty to your polity is also consistent with the claims made on you by your religious faith. That’s a very powerful moment, and I think it’s the moment that we’re in. But we shouldn’t assume that that’s going to continue indefinitely. The time may come, if the war goes on and on, it deteriorates, and the situations pertain that you and I have been talking about where civilians are being brought to harm just as a routine thing, then at that point, the claims of faith may supersede the claims of support for one’s polity, and one may be put in the position of opposition, of criticism. MS. TIPPETT: …of your grandchildren. DR. ELSHTAIN: No. No, it — no, it will not be and that’s a fundamental difference. You know, when you’ve sustained the greatest loss of life in a single day in the entire history of this country, you know, topping the worst day in the Civil War, which was a terrible, bloody war the world has changed profoundly. And we are still, to say the very least, coming to grips with it. And we’ve got to find some way to convey this change to you, to your children, me to grandchildren but in a way that still helps them to be in the very best sense Americans. And when I think of Americans, I think of this sort of openness to the world, preparedness to sort of go out into the world, and do things, and to be trusting, and to be, open, and to be generous. And, certainly one doesn’t want to see that lost, or those qualities go into hiding. They’re important things we need to cherish about what we represent, and important things we need to correct at the same time. So perhaps this horrible tragedy will give us an opportunity to do that. MS. TIPPETT: …it’s been easy for us to have the moral high ground from our positions of safety. MS. TIPPETT: But now we’ll see if when the attack has come to us, and we know fear in a new way that we can continue to live according to these wonderful principles, like just war. DR. ELSHTAIN: Yes. Indeed. Indeed it is a time of testing. There’s no doubt about it. Lincoln described the Civil War as such a time of testing. And and we will know if we’re up to it. I mean, that’s going to be what the rest of our lives will be about. 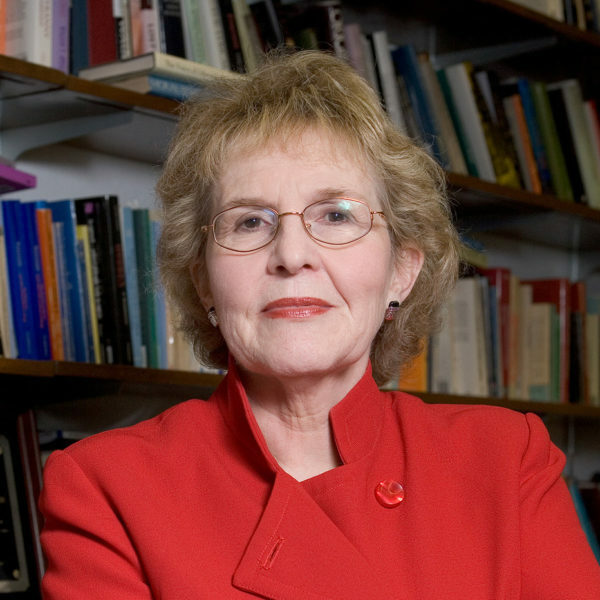 MS. TIPPETT: Jean Bethke Elshtain is Laura Spelman Rockefeller Professor of Social and Political Ethics in the University of Chicago. 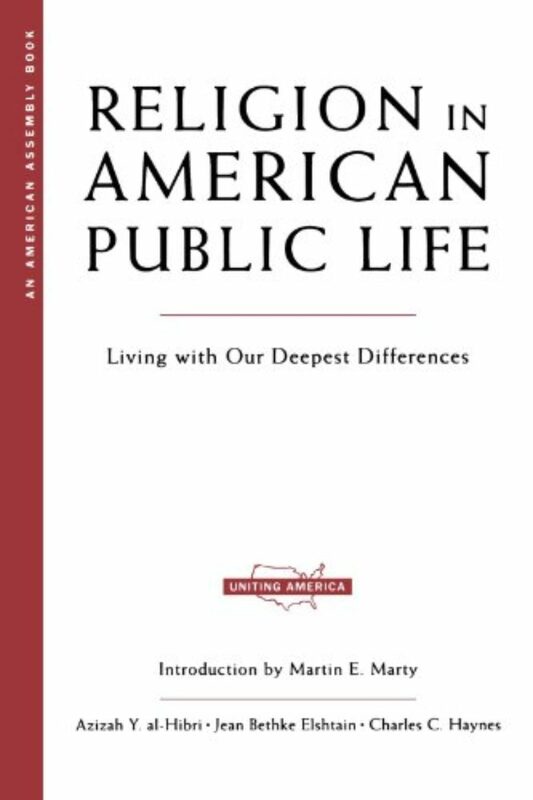 Her most recent book is Religion in American Public Life: Living with our Deepest Differences. This is First Person: Speaking of Faith, today, justice and a just war. After a short break, Mennonite John Paul Lederach, he is a passivist who works for justice in some of the violence-ridden places on earth. I’m Krista Tippett. Stay with us. MS. TIPPETT: I’m Krista Tippett, and this is First Person. When Harry Truman called for May 13, 1945, to be a national day of prayer, he was speaking to a country that had lost over 250,000 servicemen in World War II, and would lose thousands more before the atomic bombs fell on Japan, ending the war three months later. There are, of course, Americans, including an estimated 1 million members of the so-called peace churches, like the Quakers, Amish, and Mennonites, who believe that war is never morally justified. In the 20th century, Mennonites developed a unique theology of involvement. Like just war theorists, they acknowledge that violence and war and intrinsic to human experience, and realities, which they feel compelled by faith to engage. All over the world, where there is conflict, there are Mennonites. 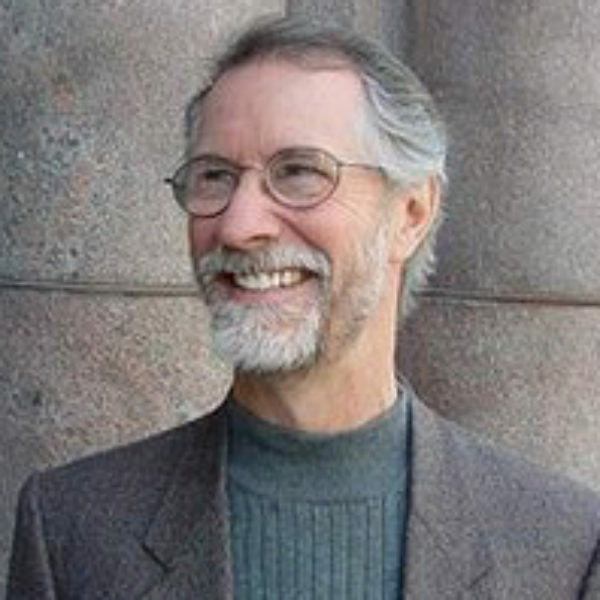 John Paul Lederach pioneered the adaptation of this theology into regions of deep and intractable violence across the world, in places like Nicaragua, Somalia, and Northern Ireland. JOHN PAUL LEDERACH: I’ve spent most of my life as a passivist who works in very deep and close relationships with people who are on all sides of conflicts carrying guns, and justifying the use of those. MS. TIPPETT: A central irony of just war doctrine is that it endorses the use of force with the aim of achieving peace. And I asked John Paul Lederach how his experiences in 25 countries, including many Islamic cultures, informs the way he thinks about the justice of our current involvement in Afghanistan. He insists that a fully just response to September 11th means that we concentrate as much on the shape of the peace we wish to pursue, as on the grievances we wish to address. DR. LEDERACH: On the one hand, I think there is a lot of response from many people that what happened on September 11th requires an immediate response to achieve justice and accountability. And that voice that we hear very strongly I think is a deeply legitimate one. One that I share and that you will find present in every context where there has been deep-rooted and long-term violence. There is another voice on the other side of that that says there have been soils that prepared people to enter into this kind of activity. And that those soils must be attended to. Now, what I would make the case for is to link those two voices in a more direct way. And I, for one, am not convinced that we’ve had an adequate national debate on the nature of what it is that we’re trying to do, or the horizon of where we’re trying to go with this. MS. TIPPETT: You know, it has happened since September 11th that people who spoke up and said well, we need to be listening, we need to be understanding why they did this have been called unpatriotic or that, you know, that is — it has been said that is a way of justifying evil. Again, I’d be really interested if you could tell me what you know, because of your experiences, about cycles of violence. You know, how they come about, what the human dimension of that is, and how they can be broken. DR. LEDERACH: Yeah. Significant among and understanding of the phenomena in places that I have worked have been a couple of guideposts that, I have found important. I think one of the first ones is a capacity to link a specific response to what it is that you’re hoping to build, not just what it is that you are hoping to end. I’m struck since September 11 that there is a much more open and larger possibility for new alliances with sets of people that we have not had openings with in significant ways, in cases for the better part of a decade. Be those in places like Iran, or in Central Asia, or in part of the Middle East. A second piece that I think has been very important is that in most of the places where I have worked, where there have been significant cycles of violence, the single most important impetus for long-term change was not driven from outside, nor forced from outside. It had to come from within. And let me try to give a specific example. I think in Northern Ireland the most significant changes that happened came when individuals from within paramilitarism set for themselves a new horizon that said we are not going to give our grandchildren what we had to live with. And we’re going to find a way to change this. And in essence, the most effective forms of dialogue and negotiations with paramilitary groups came from people who were, themselves, former paramilitaries. But I think in our current situation, we would be well-suited to learn ways to engage ourselves more extensively with sets of people who have very much come to the conclusion that the kinds of actions that were taken on September 11th, are a significant abhorration from the roots of what Islam is truly about. The people that we’ve worked with have actually engaged themselves from within a Qur’anic understanding and from within the cultural context of Afghanistan. MS. TIPPETT: Right. And it’s true that what we are hearing about and what we would seem to be focusing on in terms of our policy are groups like the Northern Alliance, which represent opposition to the Taliban, but with arms. DR. LEDERACH: Yes. I think it was significant in my mind that the Pakistani clerics took up conversation with the Taliban before the start of the war. I do not believe that in their tradition, which is the culture of tradition of an elders or a clerics, the (inaudible) that that was given an adequate timeframe to actually develop itself, but I believe that it was a very significant step in the direction of a set of people who had the ears and had the relationship to actually engage it. DR. LEDERACH: To take up the conversation — yeah. MS. TIPPETT: …when they were urging the Taliban to send Osama Bin Laden away. DR. LEDERACH: Exactly. There were — they had a number of conversations. Probably the one that was most well-publicized was the one in which they engaged, in a very direct way, the Taliban in the question of delivering Osama Bin Laden to proper authorities outside of Afghanistan. MS. TIPPETT: You know, I’m curious. You mentioned the use of Qur’anic texts in the conflict resolution groups that you’re aware of in that region (inaudible) and we’ve heard a lot of people say Islam means peace, which is a little bit too simple. I think you may have experience with something closer to reality that might be illuminating. DR. LEDERACH: It’s forms of the use of elders, of counsels, and that functions more from within the web of responsibilities and relationships, as opposed to a model that we would refer to in mediation as kind of an outside intervener who’s seen as neutral and impartial. So you would find for example, in the meeting of quite a number of Afghanis, they were actually — are now proposing a kind of an elders counsel of sorts that would guide a new government. MS. TIPPETT: Something that you have written about — or observations you’ve made about how language and culture different affect the way people approach conflict, the importance of words, and even the metaphors that we use. DR. LEDERACH: If there was one small statement that I learned in my sociological training, it was the simple phrase, what is perceived to be real is real, and has consequences. And essentially that phrase means that you can’t talk away my perception by giving me facts. And one of the most significant things that we can do, from an American standpoint in reference to the current situation, is that we would engage ourselves in doing what is not expected by them. What they expect from us is pretty much what we’re doing. And that lends itself much more to the view that it matches the historic perceptions that we don’t care that much about the Arab world. MS. TIPPETT: I think that when we use the word “we” especially when we’re talking about international conflict, we tend to look at what the government is doing. I suspect that when you look out at the world, you are aware of a whole host of actors, including, of course, the Mennonites, who are the ground in many of these conflicts. DR. LEDERACH: Citizen’s diplomacy is a term that has emerged in the last decades. And it’s not just Jesse Jackson on the well-publicized trips. We were engaged, for example, in a very significant project out of the program at Eastern Mennonite University that brought together the bomb victims of Nairobi with the bomb victims of Oklahoma City. They had no notion of who each other were. Yet there was something that happened there that became a powerful component of people being engaged with their their healing. And it — it involved in both cases, persons who had nothing to do with why this violence happened to them, but who were trying to find a constructive way to respond to it, and engage in it. These are the kinds of things that I think our world, more and more, is about. And that that can be found in a lot of levels. One little anecdote. I worked with and storytelling and with a colleague of mine, we developed a little song and a story that we did at a local high school here in Harrisonburg as a response to September 11th, in which the story essentially was told by a grandfather who was looking back across this century. The grandfather talks about a high school that got excited about figuring out a way to learn Arabic so that they could better engage people in their own community and abroad in understanding who we are. And let me just say that out of that, in a very intriguing way, in that high school, there are now 75 kids that are involved in the study of Arabic. Now that seems like a small little tiny thing. And it may not be that it goes anywhere more than a few lessons that they start in. But what it puts on our horizon, I think, is the notion that we can find ways to reach out. What kinds of relationships do we hope for? And how do we begin to put those in motion? MS. TIPPETT: What do the words just war mean for you? DR. LEDERACH: When we talk about justice, quite often we have to do it in terms that seem to be in opposition with the notion of peace. We’re talking about bringing things to justice. We’re talking about making things right. We’re talking about hard changes. We’re talking about ways that people can have access to basic resources. Et cetera. We talk about peace, we’re often talking about harmony, and how people get along, and compassion, and how to hold communities together. Now, when you ask me what I think the word just war means, I would say we need to move in the direction of finding ways of articulating just peace. And that that creates a far more positive horizon for what we’re working on that those methodologies that I believe someday humankind will look back and say, we are glad that we moved beyond the need to exclusively rely on violent means to achieve peaceful ends. 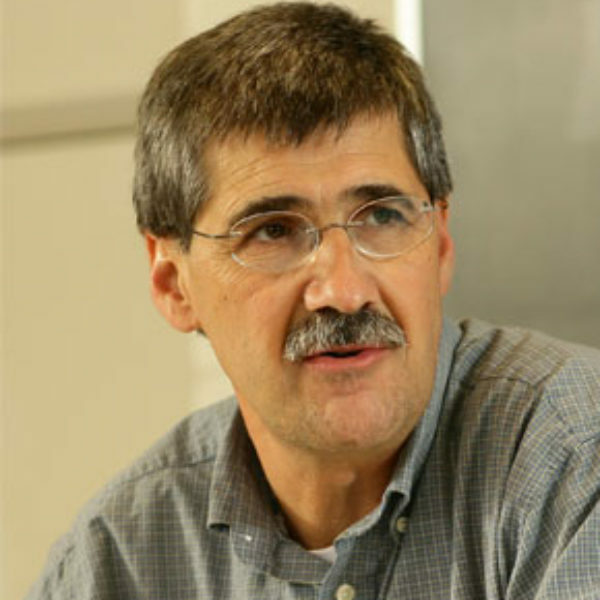 MS. TIPPETT: John Paul Lederach is Professor of Peacebuilding at the Joan B. Kroc Institute of International Peace Studies at Notre Dame University, and a distinguished scholar at Eastern Mennonite University in Harrisonburg, Virginia. His books include, Building Peace: Sustainable Reconciliation in Divided Societies. PRESIDENT LYNDON B. JOHNSON: I shall not seek and I will not accept the nomination of my party for another term as your president. But let men everywhere know, however, that a strong, and a confident, and a vigilant America stands ready tonight to seek an honorable peace — and stands ready tonight to defend an honored cause — whatever the price. MS. TIPPETT: President Lyndon Johnson, in March, 1968. Our nation, at the time, was mired in the Vietnam War, a conflict that would ultimately claim over 50,000 American lives. When the United States entered Vietnam at the height of the Cold War, it was considered, by ethicists, and theologians, to be a just cause. But by 1971, even the U.S. Catholic bishops, the holders in some sense of just war tradition, declared that this war’s means could no longer justify its ends. Most grievously, American soldiers could not distinguish combatants from non-combatants, soldiers from civilians. At the beginning of the 1960s, though, when LBJ’s predecessor, John F. Kennedy, took office, Vietnam was not in the American headlines. And his call to service at his 1961 inauguration, galvanized the nation. PRESIDENT JOHN F. KENNEDY: In the long history of the world, only a few generations have been granted the role of defending freedom in its hour of maximum danger. I do not shrink from this responsibility. I welcome it. I do not believe that any of us would exchange places with any other people or any other generation. The energy, the faith, the devotion which we bring to this endeavor will light our country and all who serve it, and the glow from that fire can truly light the world. And so, my fellow Americans: ask not what your country can do for you, ask what you can do for your country. MS. TIPPETT: President Kennedy at his inauguration. Vietnam veteran Michael Orange calls that sentence from JFK the single most memorable of his life. And it was a large part of his motivation to enlist in the Marines and fight in Vietnam. Raised in a devout Catholic family, Michael Orange attended a seminary high school at 13, in preparation for the priesthood. Then he attended Kent State University to study architecture, but he left in 1967 for Vietnam. MICHAEL ORANGE: My job was to kill people. I was in a platoon that fired 81 millimeter mortars. It’s an anti-personnel weapon. It fires a round that weighs between 9 and 15 pounds. It’s designed to send out hundreds and hundreds of pieces of shrapnel to kill people. MS. TIPPETT: Now 53 and a city planner for Minneapolis, Michael Orange has recently written a memoir after long reflection on the reality and ethics of war. He offers the perspective of the soldier in battle. And although just war doctrine was part of Michael Orange’s religious and patriotic upbringing, he says that while fighting in Vietnam, just war questions were for others to ask. MR. ORANGE: While in Vietnam, I don’t have these — didn’t have these kinds of thoughts. Just war the morality of what we were doing the politics involved. You don’t have that luxury. There’s two kinds of survival, I think that are going on. One is the physical. And I learned early on to pay really close attention to the war. I had a mentor who taught me that lesson. And I lived in the moment in Vietnam. I paid attention and I survived my experience. MS. TIPPETT: That’s really a spiritual discipline in other circumstances. MR. ORANGE: Yes. Back to the seminary. And, the other survival is the mental, or spiritual survival. And that’s that had I come in my heart and mind to the conclusion that what I was doing was morally wrong, then I was faced with the circumstance of tougher than staying as a combat soldier. That would have meant mutiny. That would have meant jail. That would have meant court martial. Turning against my fellow soldiers. I didn’t have that kind of heroism. So those were questions I didn’t ask myself in Vietnam. MS. TIPPETT: You know, those are also morally untenable acts also in our way of thinking. MR. ORANGE: We would have liked the good German soldiers to have asked those questions. MR. ORANGE: There’s a poison that comes out of killing in a war, in any war: The good war of World War II, the mire of Vietnam. There’s a poison that comes from that, that all soldiers have to live with. There was a second poison coming out of Vietnam. And that’s the the poison of that particular war, and how the country responded to it. How the country treated the returning veterans. MS. TIPPETT: Mm-hmm. I mean, I just want to follow this a little bit. When people say, as they do, that Vietnam was a morally ambiguous war you know, how do you reflect on that? And what that means to you? MR. ORANGE: Thank God it was a morally ambiguous war. I think you can look to the Jihad, you can look to the fundamentalists in Afghanistan, to see the effects of a morally unambiguous effort. It should scare all of us. When — if there isn’t doubt, then we should be very much afraid. All war is morally ambiguous. We can’t get away from that. And, it may have relevance, the morality, the politics, may have relevance for the decision-makers. I don’t envy the job of sending others into combat. But for the combatants we don’t have that luxury. MS. TIPPETT: Which, you know, which brings us to the present. I’m very curious about how you, with all of your experience, how you reflect on September 11th, and how we are responding to that now. If all war is morally ambiguous in your mind, does that mean that it is never justified, or how are you thinking about these questions in light of the terrorist attacks? MR. ORANGE: I — Krista, I think I end up going back to having some of the same ironic feelings of 30 years ago, thinking about whether or not to fight for or against the Vietnam war. And, there seems to be far less moral ambiguity in the current situation than there was back then. But, the dilemma is the same. I — my heart goes down the path of peacemaking consistent with my values. On the other hand, I said it was a dilemma. [ laughs ] I said it was morally ambiguous. I look at September 11th, and my heart just sinks. And, President Kennedy’s words come back. And I know that were I 19, I’d be signing up. There’s anger, and I want retribution just like the next person. I still feel that call to duty, personal responsibility. The only way I can kind of blend these two is to think that there needs to be a military action. I see no other way. But that action has to be limited both by time and scope. It has to be focused on — on justice, not retribution not vengeance. And that justice has to be to bring the criminals to trial. And I think it takes a military action to do that. I am delighted that even its symbolic and not that effectual, that there is simultaneously, this humanitarian effort. I think that’s extremely important and that there has to be this balance of the humanitarian efforts as well, and limited military action. MS. TIPPETT: You know, it’s interesting, I mean, you do realize what you just delineated is good just war thinking. And at the same time, something that I just heard from you and I’m hearing from others, is it’s almost as though we’re supplementing just war theory. We’re saying this war will be just if we, at the same time, address some of the other surrounding issues that are not military. MR. ORANGE: I would agree. There has to be a change. There has a be a a quantum change in policy that helps to spread the resources. The again, the U.S. catholic bishops recently called for this very thing. That there has to be a sharing of the wealth. This inequality cannot do anything but foment further problems. MS. TIPPETT: Something else that has occurred to me as I think about Afghanistan in particular, one thing that Vietnam veterans seem to experience, which was unique, was a uniquely foreign and unforgiving terrain. And, that is also a characteristic which even other countries which have gone to war in Afghanistan in previous generations have encountered. Have you thought about that? MR. ORANGE: I have. I learned a tremendous, tremendous respect for my enemy. There’s a story I wrote about in my book about Operation Durham Peak. That was in July and August of 1969. And there were the First and Fifth Marine Divisions, and the, I think it was the 21st Division, or Regiment of the NVA — I mean that we were up against. And we had bombarded them with naval gunfire for hours. This was against an entrenched positions in the Que Son Mountains that were west of our positions. It was — the naval bombardment was followed by artillery. 105s, 155s. And when that pounding was done, for hours, on these mountainous terrain, we sent in the jets. They dropped napalm, white phosphorous, everything to flush out the enemy. And right when the jets left, we landed in helicopters. The area we landed in had been pounded for probably six hours of everything shy of nukes. We hit the ground and small arms fire pinned us down for 30 minutes. Now how in the here somebody survived five, six hours of everything we could throw at them in order to shoot rifles, RPGs, and mortars at us was beyond me. MS. TIPPETT: And you were still vulnerable to rifles. MR. ORANGE: Yes. And they attacked us later. So the idea of all of our whiz-bang technology and smart bombs a and everything else, as the — as the modern technology to be able to wipe out this enemy, it — there’s still the lesson that the ultimate weapon is still the grunt with the rifle. You know, the irony of all of our ICBMs and tremendous nuclear arsenal being thwarted by devoted men with box knives, the absurdity of our missile defense, Star Wars, being useless against motivation like martyrdom for dying on behalf of your religion. Basically we need to wage a war, not a violent one, but a mental war on religious fundamentalism. MS. TIPPETT: As we know from the experience of Vietnam, a just war does not necessarily remain just. When you listen to the report at night, when you listen to Secretary Rumsfeld announcing what actions took place today, you know, what will start setting off alarms for you that these means no longer are justifying our ends? MR. ORANGE: I don’t know that I would be able to. I really don’t. We’re trusting on the media. I have to hope that the leaders will know. That the people closer to the real sources of information will know. People on the ground will know. The soldiers will know. MS. TIPPETT: Michael Orange is author of a new memoir, Fire in the Hole: A Mortarman in Vietnam. Earlier in this hour, you heard Mennonite activist John Paul Lederach, and leading just war theorist Jean Bethke Elshtain. Their perspectives suggest that religious concepts of justice and just war are very much alive and evolving today in our national life. And as our military action unfolds, just war theory will continue to pose useful questions. Do we have just cause to use military force? Do we have the proper authority to carry it out? Is this violence our recourse of last resort? Does it have a reasonable chance of success? And as we move deeper into this conflict, do our means continue to justify our ends? First Person is produced by Marge Ostroushko, and Brian Newhouse. Technical direction came from Tom Mudge, Scott Leibers, and Allen Strickland. We’d love to hear your comments on this show, and on the ideas presented here. Please send us an email. The address is mail at mpr dot org. That’s mpr, M as in Minnesota. You can also send us your thoughts through our website at firstperson dot info. 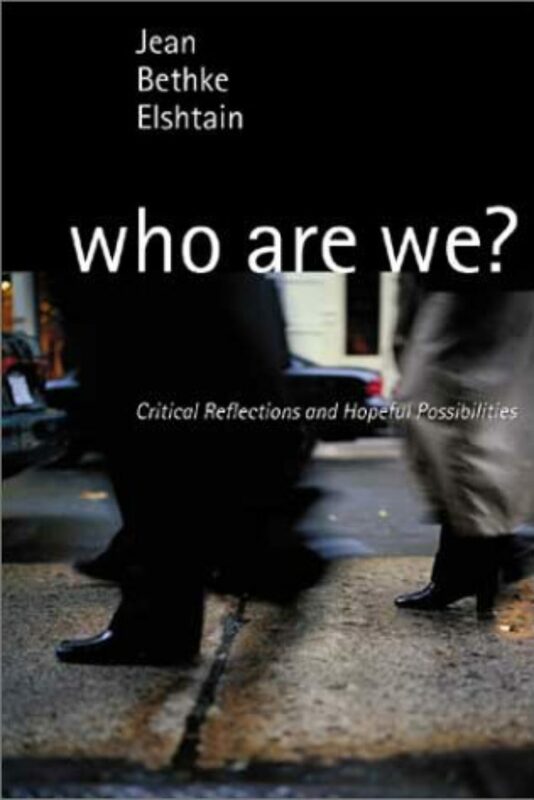 When you visit us on the web, you’ll find a list of readings and web resources for further reflection. You can also call Minnesota Public Radio at 1-800-228-7123. Special thanks go to Douglas Johnston of the International Center for Religion and Diplomacy, and to John Langan of Georgetown University. First Person‘s Executive Producer is Bill Buzenberg. I’m Krista Tippett. And this program is a production of Minnesota Public Radio. Fifty years ago today, on April 4, 1967, a reluctant Martin Luther King stood in Riverside Church in New York. Omid Safi on the promise of that moment and where we are today.